This new space exhibit just opened up for family to embark on their journey to the unknown. Come visit and explore the unknown surfaces of the planets and have fun along the way. Being in a museum, there is so much design surrounding you it is a sensory experience. 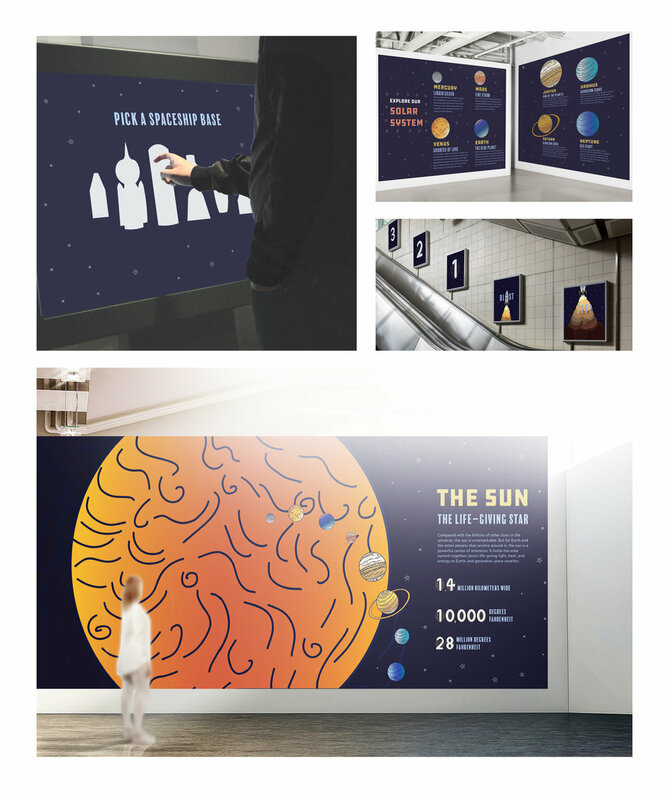 From the type on the walls to graphics, imagery, sounds and interactive experiences. My goal was to bring the planets closer to the visitors and emphasize the different features each planet has to offer. It was enlightening to design for a younger demographic. My objective while designing this space was to create an interactive space for kids where they can learn and play at the same time. Environmental design encompasses a new level of thinking that doesn’t apply to print or digital designs: movement. People come into your space with expectations and leave with a new experience after their interacting with the exhibit. 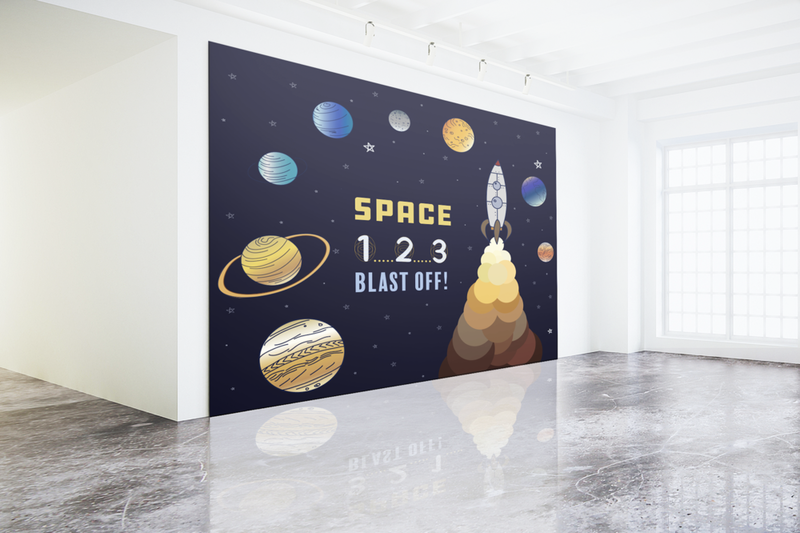 Bringing space closer through the large graphic illustrations and interactive technology allows everyone to experience space more fully than before.